A wild splash of petite faceted turquoise beads and cobalt rhinestones adorn the silver cast metalwork of the Jamie earrings. An asymmetrical take on the traditional chandelier design set on french hooks. Perfect for your next daytime engagement. 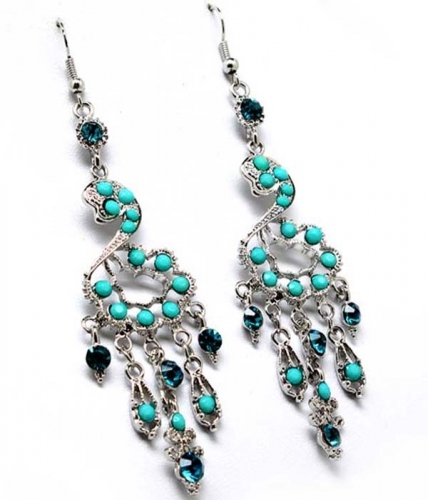 Add any of our attractive turquoise earrings to your favorite summer outfit and make it pop!